Website Design 4 You is a division of iTT CONNECT - the only Internet Service provider dedicated to the South African Travel and Tourism industry. We've been around since 2000 and apart from the obvious of designing websites and adapting re-designs to the more current Look & Feel of Web 2.0; we can offer you a complete solution where you don't end up pointing fingers at various providers because something is not working. Designing and hosting your website; providing you access to your email and the Internet by ADSL; we can offer you a variety of promotional tools to assist you in marketing your Travel and Tourism web site. This in turn generates more business through your website. Cross-links that we create promote your products and services and generate traffic to your web site, especially with Google! 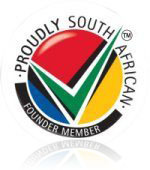 Yes, you're reading the above logo correctly ..... we are also a Founder Member of Proudly South African !! We understand the importance of a business having an online presence but we also appreciate the fact that small businesses need to manage their cash flow and focus on delivering high quality and outstanding service to their clients. This is why iTT CONNECT is the preferred Internet Service Provider of many Hotels, Guesthouses, B&B's, car hire companies, Tour Operators and flight charter companies in Southern Africa. In addition, we are preferred suppliers to GHASA, AA Travel Guides, Nightsbridge Real-time Availability and also National Accommodation Association. We are a BEE Level 4 100% Contributor in terms of EME. With this solid infra structure, Website Design 4 You is able to create websites with the knowledge that not only are they created with search engines and building traffic in mind but we are able to Host them in an environment which is 100% up and running.